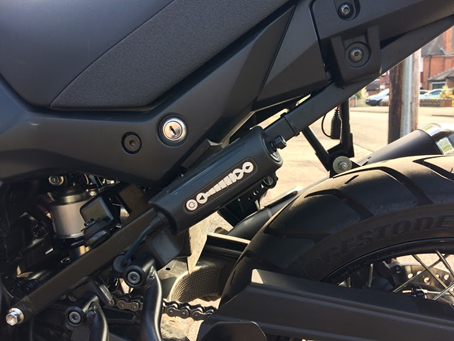 “On opening the package the xSystem was well presented and came with all the bits I needed to install it on my bike. I have a Suzuki VStrom DL650 18MY. The finish and visual quality of the unit is good. I took a while to work out the best place to install the main unit taking note of the diagrams in the installation instructions. I then installed the applicator nib. 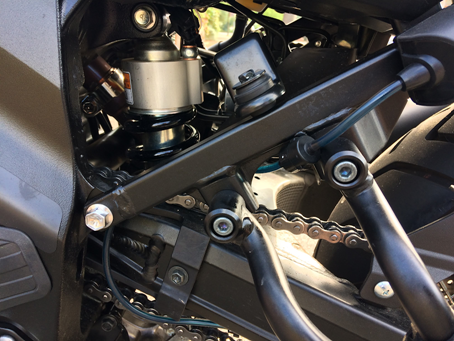 I saw that the best place was on the inside of the pit stand lug on the trailing arm. I then worked backwards from the applicator nib to the main unit. First I cleaned off the underside of the trailing arm with a clean rag, then followed up with the spirit wipes provided in the kit. I fitted 3 of the pipe clips to the underside of the trailing arm and the forth on the inside of the frame. The electrical side was very simple. I threaded the harness through a convenient hole in the body panels and routed it to the battery. After connecting up I bundled up the surplus harness and put some tape around it before tucking it out of the way. I then followed the instruction to prime the system. Press the power button for 2 seconds to turn the unit on. Then press and release the prime button and the unit starts to pump oil down the pipe. After around 30 seconds the unit automatically drops out of prime mode. Press the prime button as required for further shots. Pressing the prime button whilst it is in prime mode stops it straight away making it easy to prime through to the applicator nib and then stop it on the dot. The unit came with the flow set on position 3 out of 5. This proved to be too much for me. I have gradually wound it back to position 1 ( in 18 C ambients) to get the right flow. 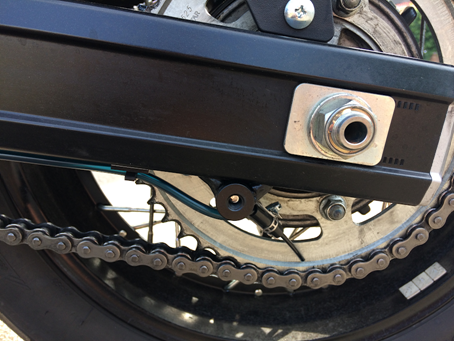 I have had two prior vSystem units on earlier bikes. The xSystem is much much easier to fit and setup. Overall I guess it took me an hour to do a tidy job from scratch. Big thanks to Mike for sharing his first impressions of the xSystem and his honest appraisal of the install process.